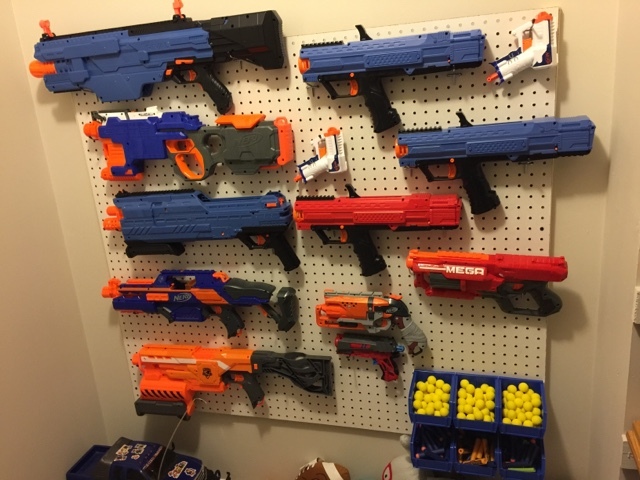 Landen has taken up quite an interest and amassed a large collection of Nerf guns. In fact, the entire family has gotten involved - we are known for the occasional battle. Those are fun. Tripping over Landen's armory is not. They're kind of awkward and difficult to put away neatly, and the darts and muskets were hard to keep organized. Landen was getting frustrated. We (Landen) decided to utilize wall space in his walk-in closet for storage. First, Nick installed anchors into the studs to secure a peg board in place. 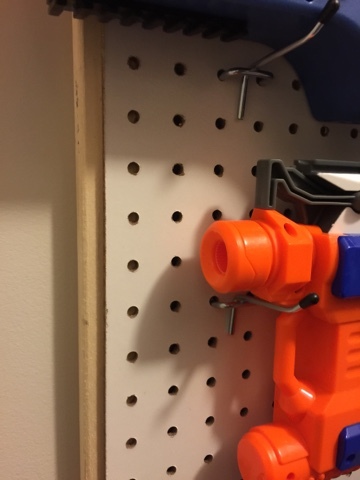 Then, using hooks, Landen got to work hanging his guns on the peg board. We also found hanging plastic storage buckets to help corral his darts and balls. The final result? A simplified way to store a favorite collection, and a solution to help prevent the accessories from getting lost. We have one happy kid! 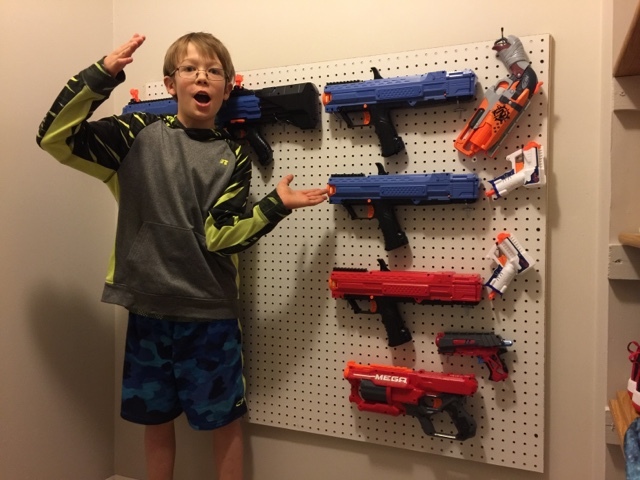 All of the materials for this project were found at Home Depot, and for the total cost of less than $50. This set-up could also be used to store accessory collections of scarves, jewelry and handbags.